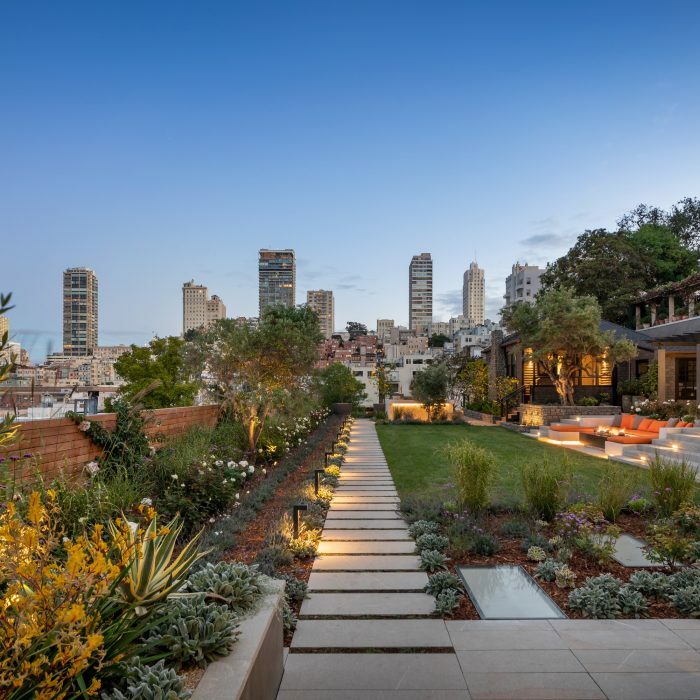 A unique compound on two hillside lots at 950 Lombard St. in San Francisco’s Russian Hill could break the record set earlier this year for a lavish urban penthouse that sold for $38 million. 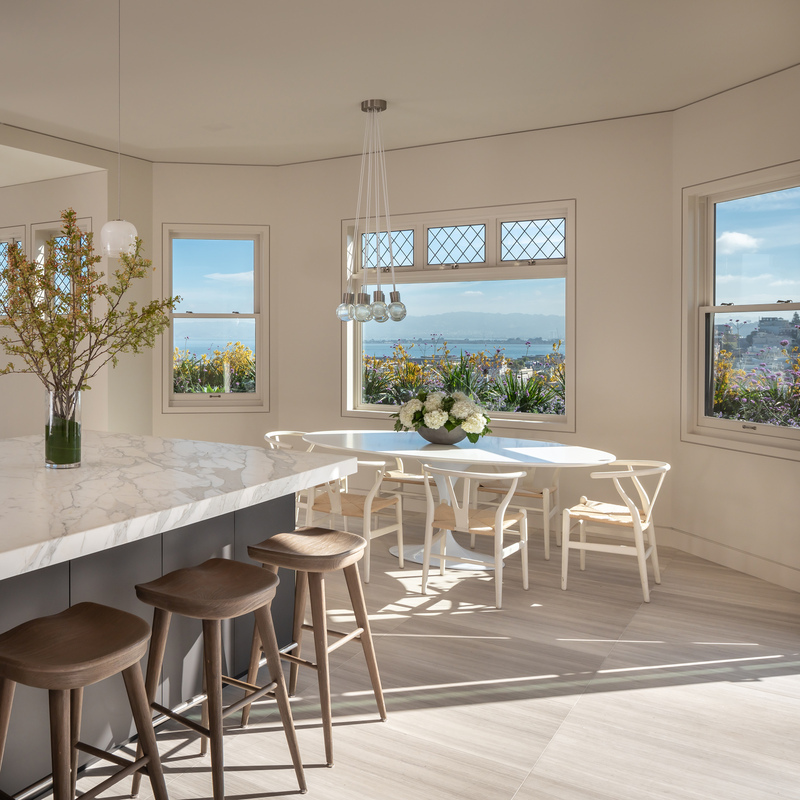 Spearheaded by Babac Doane of Ken Linsteadt Architects and developer Greg Malin (Troon Pacific), the project combines two structures — a circa 1907 shingled house by noted Bay Area architect Willis Polk and a contemporary concrete podium-level construction. 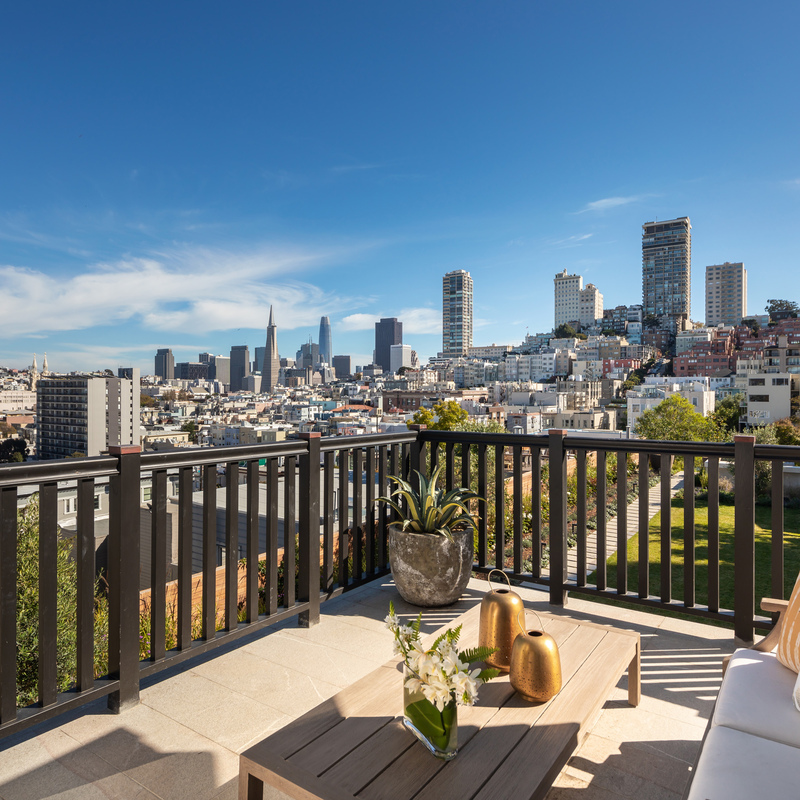 Totaling some 9,500 square feet, the cutting-edge open plan residence commands a breathtaking panoramic view of the city and the bay. It includes a two-story subterranean art gallery, a glass elevator to all levels, a cantilevered infinity pool, and a shower and sauna with glass walls overlooking the city. 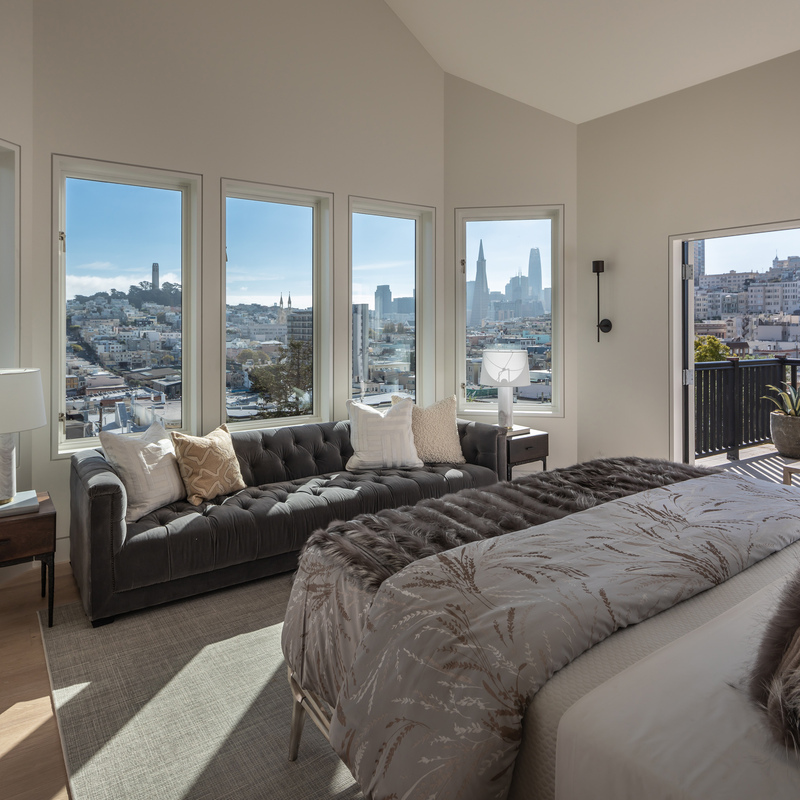 Health is a key factor throughout the home, with amenities that include an 850-square-foot wellness center with a spa and steam room and a Japanese water-filtration system said to improve skin and hair. A dedicated system replaces all the air in the home every other hour, while shield cables help mitigate electromagnetic frequencies and exhaust vents minimize industrial air. The compound’s gated entrance opens to a garden with olive trees, an outdoor kitchen, a dining table, and a fireplace. A dramatic tunnel-like drive leads to the four-car garage. The estate is listed by Val Steele at $45 million.